Help I need a GTX 580 gpu waterblock mounting kit. 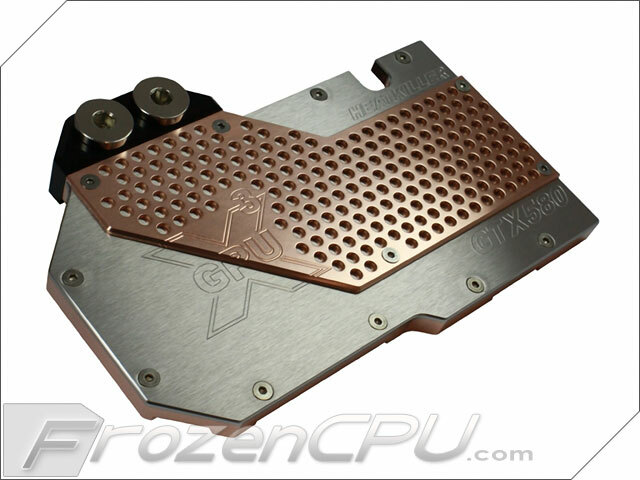 Thread: Help I need a GTX 580 gpu waterblock mounting kit. I got this block & backplate for my gtx 580. for $60. Just need the mounting screw's. Were do I buy them? Re: Help I need a GTX 580 gpu waterblock mounting kit. It didn't come with what you need to mount it? No it is a used one. ummm that isnt going to be easy. Might want to contact the maker of it to see if they have one for sell or will send for for. Most people are not going to be willing to seperate it. If you can figure out what it needs, you can go to a hardware store and get them. Just talked to him on chat. The screws he needs can be found at hardware store. So he will be running over there. I thought he was missing the whole mounting bracket and screws. #13 M3x4 DIN7985 & #1 M3x6 DIN7985 & #1 M3 NUT. Is this what is needed? I could easily get them ordered on wed. PM me and I can work something out. He gave me the wrong info. The manual list the following. scope of the back plate. ribed in point 1. Then please check the back plate. e which screws are used where. and turn it around together with the graphic card. to scratch the cooler! " Thank's for the help Sandy.I was looking at the wrong card. NP buddy glad we were talking about it or you would have never known lol That would have sucked. Could have messed up block with wrong screws. Are those backwards compatible with my 680s? Noctua D14 Mounting - Vert or Horz?